Tudor Manor isn’t like your usual motel or hotel. With three individually styled rooms you will really feel like you are on holiday, even if you are just visiting from your nearby Kapiti Coast home. Our luxury accommodation in Paraparaumu offers you the chance to relax in private while enjoying everything the Kapiti Coast has to offer including some great dining experiences. Start your day with a tasty continental breakfast and end it with a dip in our pool* or in the spa. 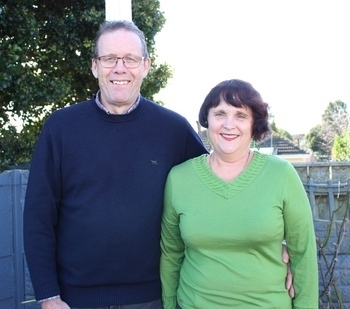 Kapiti Coast locals Simon and Shelli look forward to welcoming you to Tudor Manor and helping you during your stay. Conveniently located in Paraparaumu Beach, central to the Kapiti Coast region and just 40 minutes by car or an hour by train from Wellington, Tudor Manor is the perfect setting if you want to escape from your usual routine for the weekend. It is also a great choice if you are attending an event in Wellington but don’t want to stay in the city. You will find plenty of attractions on the Kapiti Coast to keep you busy and lots of restaurants and cafes to choose from, and the friendly staff at Tudor Manor will be able to help you with anything you need. Our boutique Paraparaumu accommodation offers something a little different to the normal hotels and motels, which combined with our personal service makes Tudor Manor the ideal choice for your next Kapiti Coast B&B booking.